Heat oven to 350°F. Grease 12-inch pizza pan or spray with cooking spray. In pan, break up cookie dough; press dough evenly in bottom of pan to form crust. Bake 16 to 20 minutes or until golden brown. Cool completely, about 30 minutes. In small bowl, beat cream cheese, sugar and vanilla with electric mixer on medium speed until fluffy. Spread mixture over cooled crust. 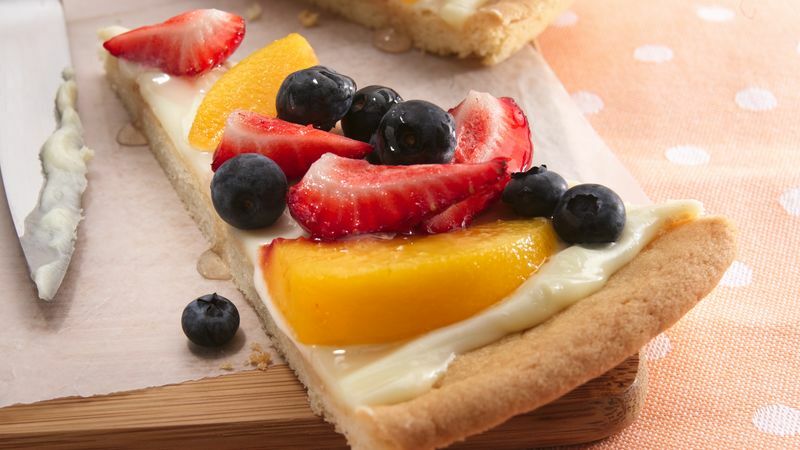 Arrange fruit over cream cheese.